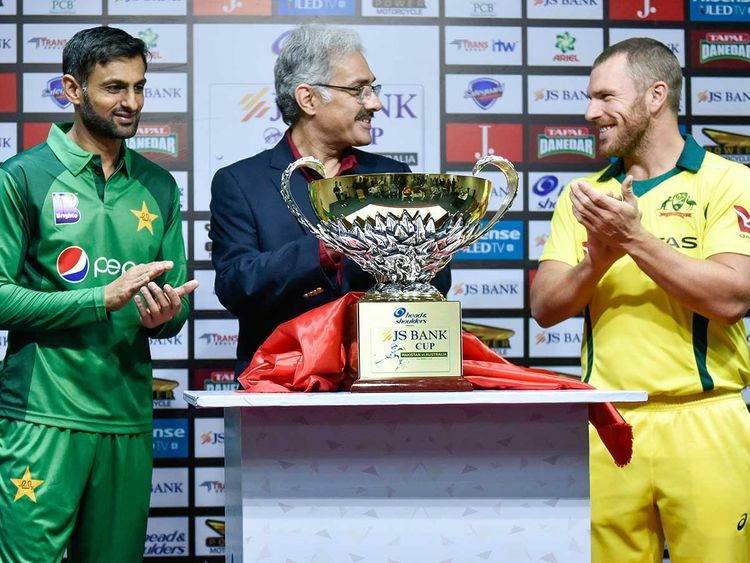 Sharjah: Pakistan, who have rested six of their top players including skipper Sarfraz Ahmad, take on an Australian team high on confidence after their historic series win over India, in a five-match ODI series beginning on Friday at Sharjah Cricket Stadium. In the last series between these two nations in the UAE in October 2018, Pakistan beat Australia 1-0 in the two-match Test series and also inflicted a 3-0 whitewash win on them in the three-match T20 series. So for Australia this series is an opportunity to avenge that defeat. Pakistan are fresh from the recently concluded Pakistan Super League (PSL). The squad is made up of some of the youngsters who sparkled in the league. For Australia, some of these new faces will be an unknown on conditions and pitches which they are not familiar with. Everyone is viewing this series as a dress-rehearsal ahead of the oncoming World Cup in England. Pakistan coach Mickey Arthur was candid enough to admit that it’s a new squad created to find a few more options for the World Cup squad. March 31 — 5th ODI, Dubai International Stadium.